“Build” is a recurring word one hears when talking with Washington State University student, Samantha McNicholas. McNicholas has been interested in engineering since her childhood, aspiring to be like her mother who is a software engineer. From a young age, the civil engineering major has used the best of her skills and abilities to build upon her achievements and rise to the top of her class. McNicholas was recently named one of the top ten Reserve Officer Training Corps (ROTC) senior cadets out of more than 5500 students nationwide. She received the award because of her strong academic record, community service, and fitness level. During middle and high school, she participated in science competitions. She loved building complicated Rube Goldberg devices and creating with Legos. McNicholas became involved in junior ROTC in high school, where she learned useful skills in leadership, public speaking, and event planning. “I love the leadership skills it taught me and mostly it taught me what being responsible really means at such a young age,” she said. 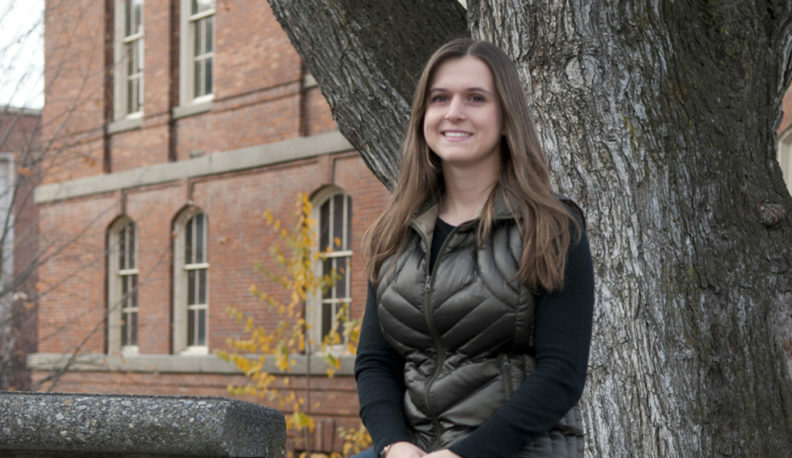 She participated in the ROTC program throughout her time at WSU, gaining a leadership position her junior year. As a cadet, she led a squad of other ROTC students and handled more responsibilities in the program, such as planning events. Her academics and army training never interfered with each other. In fact, the two sides of her life enhance each other. She keeps a busy schedule that includes performing her cadet duties and working, but she manages to keep a 4.0 GPA. McNicholas aspires to be a pilot. 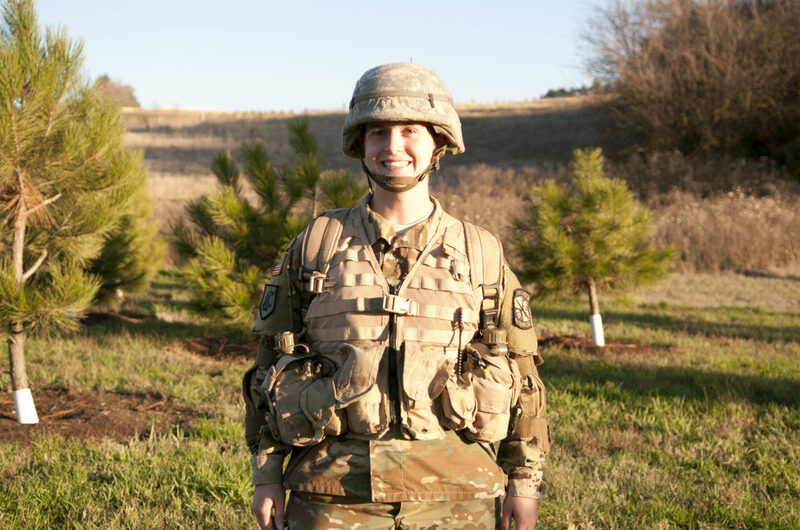 A recent Daedalian Foundation scholarship recipient, she will attend the United States Army Aviation Branch in Fort-Rucker, Alabama, after she graduates in May.